Neutral sound, spatial separation, and a wide soundstage - all wrapped up in one elegant package. While we fondly refer to these preferred cables as Gold, they are exclusively copper wire. 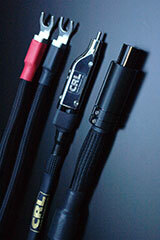 In fact, numerous solid copper core wires are the foundation of these reference quality cables. Each CRL cable is skillfully made by hand of the finest materials and accompanied by pure copper, silver plated Bocchino Audio connectors. Connectors are compression connected - never soldered. CRL's solid copper wire technology delivers neutral sound and value unmatched by any other audio cable. Yearning for a silent black soundstage? With CRL Gold LP Reference Series Interconnects and Speaker Cables, close your eyes and you'll feel as if you're in the world's grandest concert hall. Let us bring the beauty of natural sound to you. Bocchino Audio RCA connectors: 4N high purity copper with platinum plating and no nickel under plating, teflon insulation. Compression fittings with no solder used. "... there's a lot out there that costs more that I will tell could not keep up with your Gold Series"
"Once in the system, there are bountiful rewards to be reaped." 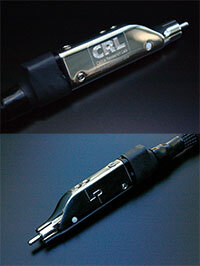 ":... the CRL may well be the last cable you may ever need, it is that good."